… we're back with the 3rd and final installment in our best of 2010 series. This time we're playing Bob Baldwin and Dave Koz, as well as Fourplay and Marc Antoine; also featured are selections by Spring Island, Ron Hutchens, and Marty Q. In addition we have a track from Alan Hewitt and Retroactive which happened to be our most played cd for the year - all in a collection highlighting the finest from the past 12 months ... as we continue to feed our yen with Vol.3 in The Best of '10! Café Jazz Faves for 2010: Seventh annual year-end review! Brian Simpson has been a favourite here at The Café, dating back to his 1995 solo debut as well as his work in the late 90s as part of Rhythm Logic. For the better part of the last dozen years, Simpson has been a member of Dave Koz's touring band while for most of that he's also doubled as Koz's musical director. Simpson saw a resurgence in his solo career in 2005 with It's All Good, and then in 2007 Above the Clouds reached #3 on our own in house list of faves. Subsequent to a nomination as keyboardist of the year at the inaugural ASJ Awards, Brian released South Beach in 2010, which debuted on our hip but humble show in September. 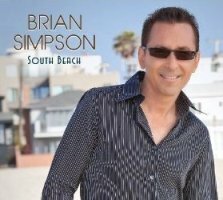 When showcasing South Beach shortly thereafter, it was writ, "… Brian Simpson's South Beach is an exhilarating listen that's filled with tender exquisite moments - they really don't come any finer!" Now in spite of the lateness of this debut date, South Beach replicated Brian's earlier success in so far as our re-cap is concerned, by surging to the #3 spot for the year-end review. From one of the best releases to ever hit the genre we have the buoyant Our Love, written by Stan Berger & featuring Steve Alaniz on sax! The best thing about great albums is the more you dig into them the better they sound. Occasionally it may take quite some time to gain a full appreciation of the caliber of the project as a whole. 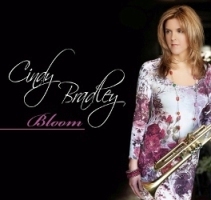 So it is/was with trumpet-lady Cindy Bradley's major label debut entitled Bloom. The album was one of the outstanding releases in 2009 and allowed Cindy to gain recognition as the break thru performer for the year at the inaugural ASJA held this past October in Chicago. Meantime, the cd bridged the years on our show with Cindy gaining major consideration on our 2010 spin list with several tracks. Foremost on this occasion is the elegant Catch the Wind with Thano Sahnas (from Turning Point) contributing some gorgeous acoustic guitar to the selection! Addendum: Cindy is in the studio finishing up a new album for 2011. While he was in junior high, his parents encouraged Eric Evans to learn an instrument and because of his exposure to the records of Paul Horn and Herbie Mann, Eric chose the flute. After touring with a rock band and a few sessions, the San Diego native has for the most part led musical worship in churches with previous recordings generally reflecting these themes. 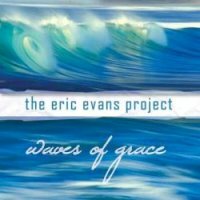 Now as The Eric Evans Project, Waves of Grace is the 3rd cd in his catalogue. Reveling in the ocean's majesty and its inspiration, Evans admittedly stretched himself during the three-years he devoted to the concept. Now from the effort, we're pleased to present the track Seaside, our #6 selection for the year and one that's reflective of the ocean's inspirational beauty and grandeur. Totally hip! 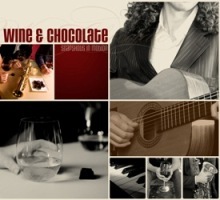 Wine & Chocolate is a concept conceived, developed and produced by Alex Salzman - a Grammy-nominated producer and multi-instrumentalist, who attended the Moscow Conservatory School for Gifted Children. With Wine & Chocolate Salzman handles guitar, keys & vocals while the remainder of the combo includes Anthony Aiello on sax & flute and Erin Henry on vocals; meantime making a special guest appearance is trumpeter Don Harris. Each of the members is an accomplished performer; all have extensive resumes. Snapshots in Motion is their premier release, and a project that features a unique blend of jazz, pop and funk, embellished with World flavors. While debuting the cd on our show back in February, yours truly, Swami Ted, fully predicted the focus track Step by Step was an early bet to be among our choice selections in 2010. Not quite 12 months later, we're now pleased to announce the accuracy of that forecast with Step by Step nestling into the #2 spot for the year! 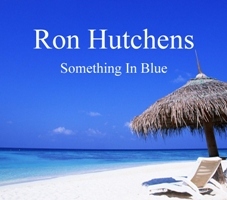 In the process of creating 'the radio show for people who don't like to listen to the radio', it's inevitable that we come across performers whose musical philosophy appears to perfectly mesh with our own, the case in point on this occasion being Ron Hutchens. Hutchens spent his early years playing piano in a variety of bands in his hometown of Asheboro, N.C. and for a time he gigged along the East Coast before moving to Nashville Tennessee in 1980 to pursue writing and studio work. Setting up shop in Music City USA, Hutchens has made a career for himself as a composer, as a sessionist, and as a performer. In the year 2000, he hooked up with guitarist Tommy Strange; their release as The Strange-Hutchens Ensemble received national airplay in the USA. That was followed in 2008 by a collaborative effort with another guitarist in Terry Vuncannon. Subsequently, Ron issued his official solo debut the following year with Something In Blue, a concept album wherein each & every tune had 'blue' in its title. From that effort, we have a tune that nicely bridges the years, an ace of a track called Steppin in Blue! Within the categories on the year-end recap, likely the Most Played Albums best identifies the music that has had the greatest impact on our show - the single most telling item on that list is the #1 cd. Enter Alan Hewitt. 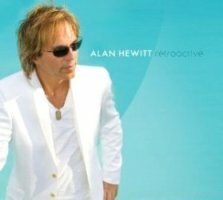 After reaching the #3 spot with each of his previous releases, Hewitt's Retroactive became our chart-topper; recognition that we fully believe would have been much more wide ranging had Hewitt not been commandeered for an extensive tour by The Moody Blues. Unable to make live appearances in support of the release, promotion for the project lost much of its momentum but, in a phrase, we were undeterred since we play 'em as we like 'em. From no less than a superb album, we present a fabulous up tempo mover entitled In The Works! More 'Charm': … it'll be the continuation of the 'Charm' Edition as this series builds to its ultimate conclusion - we have one final hour capping 9 hours devoted exclusively to the sounds of '10. This edition includes Pamela Williams and The Rippingtons. There's music from Alex Bugnon and Gabriel. Butch Thomas is on the show, while also appearing are Jazzyfrank, Adrian Conington, and Eugene K. But launching our festivities is a tune from Stephanie Sante - musically inducing a state of Zen, featuring great tracks all from 2010!